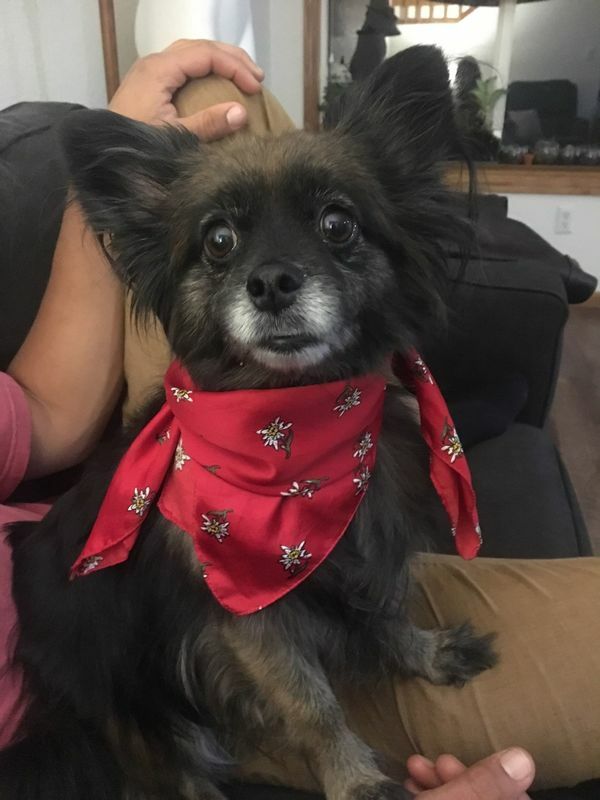 "Kally is a Papillon mix with a brindle coat of black/tan. She is 7 years of age and has taken regular doses of clavamox. Her bloodwork is consistantly good and she's lost a few pounds while on natural organic dog food. She is great with adults and very good with children who are kind. She's well potty trained and can be at home for hours without incident. She is socialized to a medium degree, but does not prefer a high energy pack. She has no issues." If you want more info and/or to apply to adopt me, go to the top toolbar, click Adopt, click Dog Application; then fill it out and send it in. A nice volunteer from Summit Dog Rescue will get back to you as soon as they can.